You have already read about the recording in Venice. Now that the work is finished, we can share a closer look at the whole process. The surveys were done near Jesolo – a famous seaside resort known for its abundant holiday facilities and a 15-kilometre (9 mi) beach called Lido di Jesolo. At the height of its touristic life, Jesolo hosts 6 million tourists per year. Traffic data in the area are fundamental. ESSEOTTO Engineering was interested in a deep analysis in the field of road safety and road traffic on rural roads in Province of Venice. This first test concentrated on various types of intersections: T-intersection and a small roundabout. They didn’t want to only survey traffic (counting and classification) but also many other parameters such as: speeds, acceleration, time, distance and other parameters fundamental for road safety. Only DataFromSky is capable of helping them – there is no other way to collect all of this data comprehensively. Let’s take a look at the places of recording. The first intersection is a typical Italian compact roundabout in front of the urban area. Here, interactions with other type of road users than just cars can take place. Since the speeds are lower than at other types of intersections, in this case the objects of study were roundabout angle deviation and trajectories arising from interaction with pedestrians. The second is a typical T-intersection between two rural roads: a primary road and a secondary road with a stop signal. The main issues are the speeds on the primary road and the conflict points on turn-left manoeuvres from primary road. 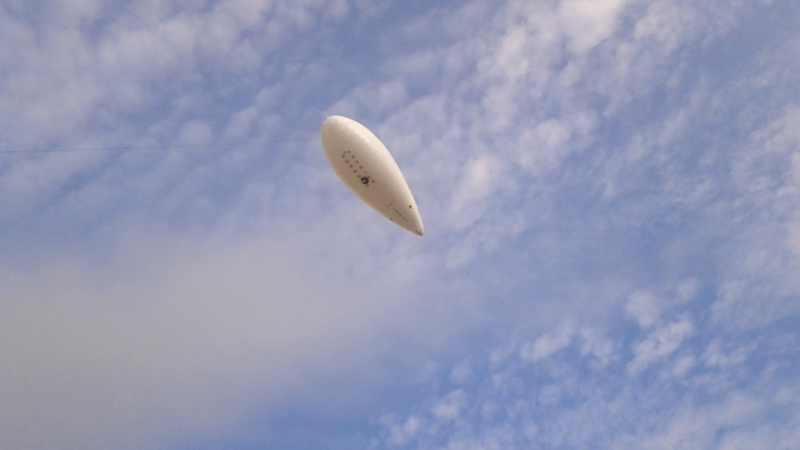 A date was selected and the engineers from TAU could finally come and do their thing – fly their blimp and record a video of the traffic. The recording was from height of 40-70 meters and gathered a total of 4.5 hours or 270 minutes of traffic footage for analysis. The weather was very severe, and in fact a storm warning was issued for the day. 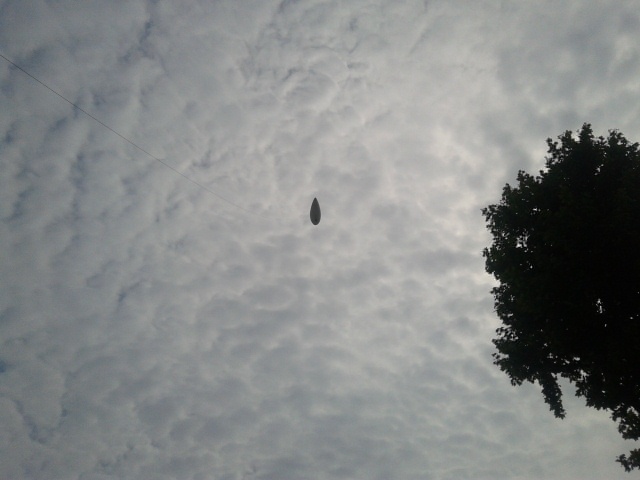 The blimp rocked wildly in the winds, turning to and fro madly. Despite that, the recording could be stabilized in-software and used. The height to which the blimp was allowed to rise was limited by the weather, too. Fortunately, both of the sites were completely kept in view of the camera all the time, so there wasn’t any problem with processing. A lot of interesting data was gathered in a short space of time. Thanks to these surveys, ESSEOTTO Engineering is now able to analyse the infrastructure with more efficiency. Thanks to the field of vision, granted by vantage point above the intersections, we are able to detect every vehicle and know its destination, with 100% accuracy. ESSEOTTO engineers are studying trajectories and driver behaviour to understand incorrect manoeuvres and improve intersections’ road safety. A new concept of infrastructure design is growing – allowed by the rich data available with DataFromSky. Thanks to geometric parameters such as angle deviation, lane occupancy, speed profile and much more, a traffic engineer can carry out new designs with better accuracy and data firmly grounded in reality.